Spring 2015 registration is now opened. Please go to registration page to register. My daughter who is in 7th grade is interested in doing the clinic on Saturdays. Is it at Stratford Road with the boys? Who is the coach? Is there a team for 7th grade girls? Hope to hear from your soon. Thanks. The fall clinic will be to help build skills for all the girls. There is a league for 7th and 8th graders in the spring and possibly winter indoor if there is interest. Hi Dawn, It is not too late. You can register your daughter next Saturday at the clinic. Please send her sweatshirt size to Tim Engel kee12985@verizon.net. Hi- Is there a program, either league or clinic for my 6th grade daughter this fall? Yes there will be a clinic for your daughter this Fall. More information will be provided shortly. My daughter is in 4th grade and would love to play lacrosse during the spring season. Is there anyway I could register her now? Information regarding any fall or winter lacrosse will be sent out by email through the POB Athletics newsletter. 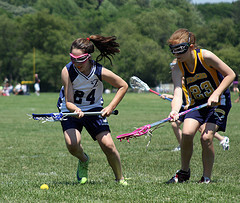 All Summer Lacrosse programs for this year are over. Nothing is planned for the Fall as of right now. Spring 2016 registration should start in December. Are there any programs for 3rd grade girls with no lacrosse experience? When do they have it? No experience needed. Season starts in March. Registration for 2016 will open beginning of December. Hi, would the same apply for 2nd grader? Is lax only in the spring? Do you have boys lacrosse? My son is 8 and wants to learn the game as does my 10 year old daughter. How much for lacrosse? When do I sign them up? How do I sign them up? Yes boys and girls teams. Season is in the Spring registration will start in December.